Michael Clay is in his third season with the 49ers and second as an assistant special team coach.  He previously served as a strength & conditioning assistant in 2017 and an assistant special teams coach with the team in 2016. Clay joined San Francisco after spending the previous two seasons (2014-15) as a member of the Philadelphia Eagles coaching staff. After serving as a quality control coach in 2014, Clay was named a special teams assistant for the Eagles in 2015. Philadelphia ranked second in league in punt return average (11.4) and was one of four teams to register multiple return touchdowns on special teams. RB Darren Sproles earned his second career Pro Bowl selection as a return specialist after leading the NFL in punt return yards (446) and ranking tied for first in the NFL in punt return touchdowns (two). A native of San Jose, CA, Clay was a four-year letterman as a linebacker for the University of Oregon (2009-12). He earned Second-Team All-Pac-12 honors as a senior in 2012, recording 101 tackles, three sacks and one forced fumble while starting in all 12 games. Following his college career, he signed with the Miami Dolphins as an undrafted free agent in 2013. Clay attended Bellarmine College Preparatory (San Jose, CA), where he played fullback and linebacker and was a two-time All-Mercury News First-Team selection.